Guasaca Arepa & Salsa Grill opened up its fourth location yesterday and I had to give them a try, making this Tasty Tuesday a special one! Being a newbie to Venezuelan cuisine, I had no idea what to expect but the word around town definitely had my expectations high. 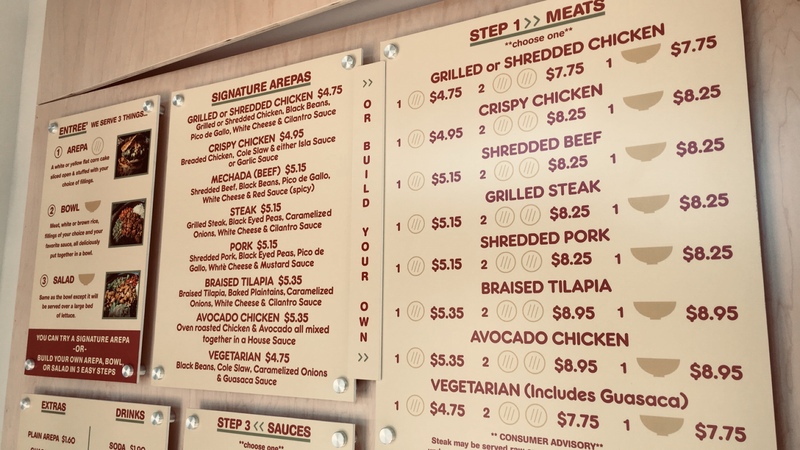 Going into the restaurant, there’s a menu hanging on the wall so you can have a look at what they offer before you make it to their assembly line. There’s tons of great stuff on their menu with an assortment of different toppings. The staff is very friendly and courteous, greeting you with a smile and a welcome. 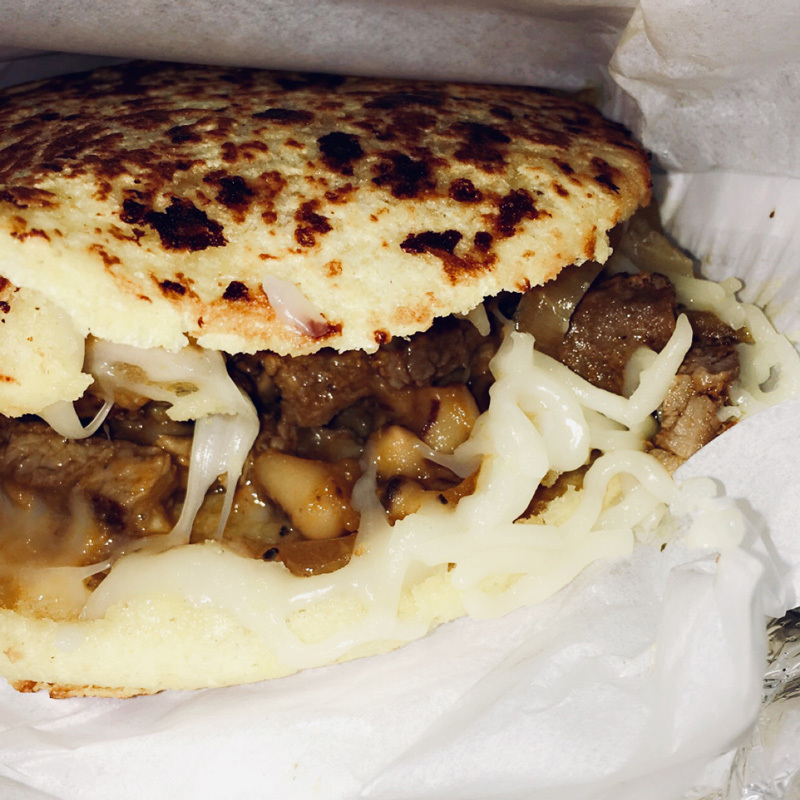 After looking at their menu, I decided to go with one of their signature arepas: steak. For those that don’t know, an arepa is made of white or yellow cornmeal, water and salt. The dough is formed into a patty, grilled or baked, split open and stuffed with a variety of ingredients like a sandwich. When I say that this was so delicious, it’s really an understatement. I’ve never had this combination of flavors coming together, and I was pleasantly surprised. One of the cool things about Guasaca is that they make your meal right in front of you. You get to see them construct their masterpiece and prepare it for dine-in or take-out. This place blew my mind and I will definitely become a regular. I really recommend people giving this place a try. 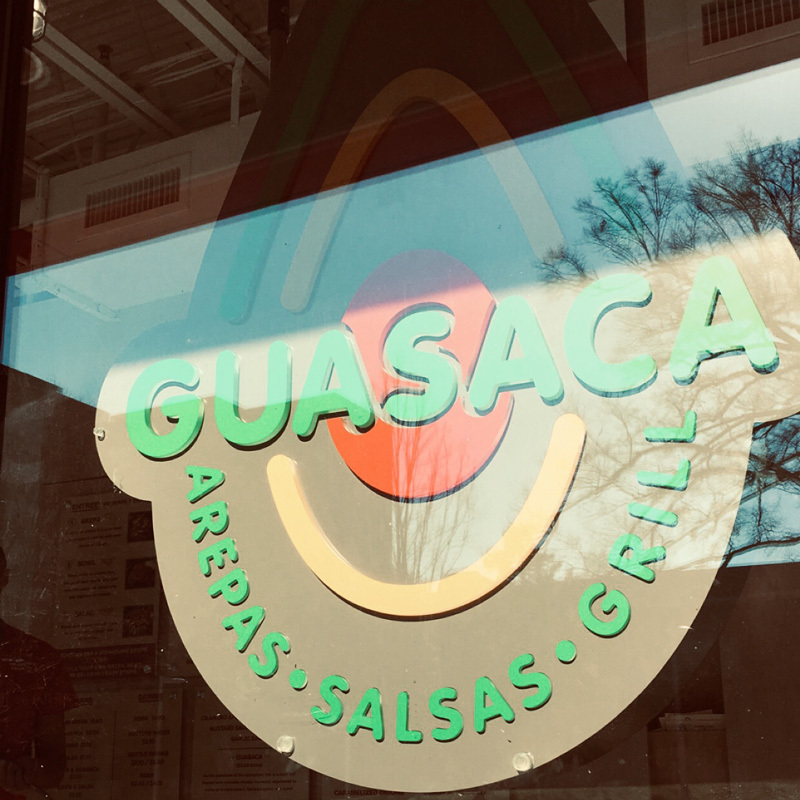 Guasaca Arepa and Salsa Grill is located on the bottom floor of the Target building and offers free 30-minute parking at a deck nearby.